A Reverse Mortgage Could Change Your Life! Experience counts. Our knowledgeable staff has years of reverse mortgage experience to answer all your questions. Faze One Funding, LLC has an A+ Rated Better Business Bureau and belongs to the National Reverse Mortgage Lenders Association. We know what issues seniors face today. Are you on a fixed income? Is your Social Security sufficient? Do you have rising health care costs? Is your mortgage paid off? Could you use a cash reserve? If so, let us give you some facts on Reverse Mortgage, or Home Equity Conversion Mortgages, commonly Referred to as HECMs. What are the HECM eligible property types? What are the borrower responsibilities? Counseling – all homeowners are required to complete counseling session with an independent, third party counselor approved by the U.S. Department of Housing and Urban Development (HUD). What are the Home Equity Conversion Mortgage (HECM) programs? What are the factors affecting the payout amount determination? What are the types of HECM programs payout choices? When does the loan require repayment? Repayment is required when the last surviving borrower sells the home; moves out permanently; or passes away. Social Security and Medicare are typically not affected. Supplemental Security (SSI) or Medicaid is means-tested. Note: We always recommend that borrowers consult their federal benefits administrators or financial advisors. What are the Consumer Protections? HECMs are NON-RECOURSE Loans. Neither the borrower nor their heirs will owe more than the home is worth at the time it is sold. HECMs have no time limit. Since homeowners still own the property, they can always stay in the home provided they follow the program guidelines: pay property taxes and insurance, live in and maintain the home in good condition. HECM Counseling: borrowers are required to meet with an independent, third party counselor approved by HUD. What are HECM for Purchase Programs? This program allows for relocation to be closer to family, as well as downsizing to a more affordable space, or upsize to a dream home. You may decide to purchase a single level, more accessible home. Get Your Free Packet Today! 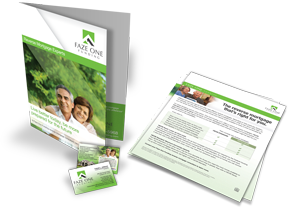 Get Your Free, No Obligation Information Packet Today!